Huskystar is a brand of sewing machines offered by Husqvarna Viking. 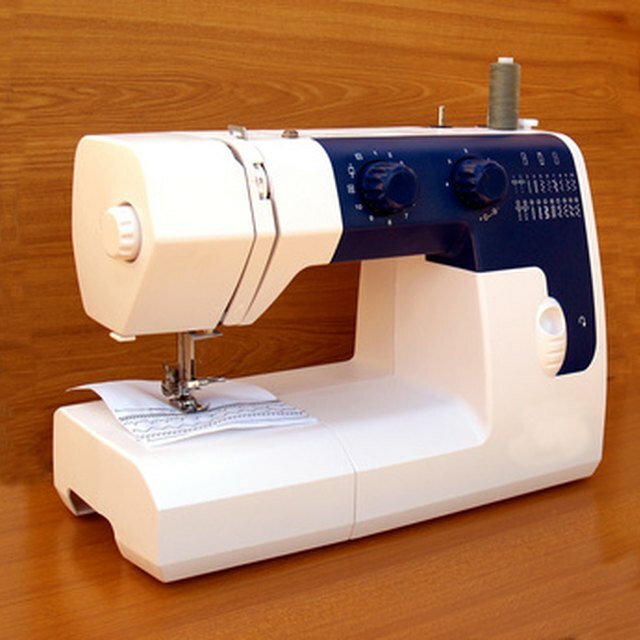 Huskystar offers a wide variety of machines that meet all types of sewing needs. Troubleshooting a Huskystar may be required from time to time. Many different areas of the Huskystar may need to be examined, cleaned and adjusted for the machine to work properly. Remove the needle from the machine by raising the needle to its highest position, then unscrewing the needle clamp screw. Examine the needle to see if it is bent. Check that the thread you use is not too big for the needle eye. Replace the needle if needed. Reinsert the needle with the flat section facing toward the back and tighten the needle clamp screw. Remove the bobbin cover plate located at the bottom of the machine in front of the needle, with the screwdriver provided with the machine. Check to see if lint has gathered in the bobbin and hook area. Remove any lint with the brush supplied with the machine. Examine the thread for any knotting or fraying of the thread. Remove the bobbin holder and look for any cracks or damage. Replace parts as necessary. Adjust the tension using the needle thread tension dial. A thread tension that is too tight causes the needle to break. A thread tension that is too loose causes seams to pucker. Adjust the length of the stitches using the selector strip located on the right side of the machine. A stitch that is too long results in puckered seems. Adjust the foot pressure presser by adjusting the dial. Huskystar has three settings. Setting 3 can be used for most jobs. Setting 2 is for better manevuerability. Setting 1 is used for fabrics with lots of stretch. When sewing, move the fabric toward the rear of the machine to avoid breaking needles and puckering seams.